There's nothing like gaining a little perspective. Seeing the world and all its ocean depths reminds us how small our difficulties are and at the same time, inspiring us to triumph over them. 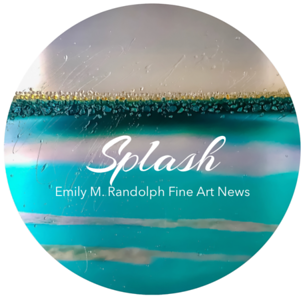 'Perspective' is an abstract mixed-media wall sculpture in the shape of a sphere with aqua, sapphire and ice reflective glass covered in Emily's 'Resin Splash' technique.